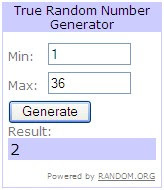 Thank you to everyone who everyone who entered the drawing for Easier-than-Ever Scrapbooking 2 as part of the review I posted earlier this week! Boy, scrapbookers sure do LOVE our scrappy supplies and tools, don't we?! I had a great time reading through all of your comments and seeing what your pantry staples are. For me, it's patterned paper, my fiskars trimmer and ink. I use other items also, of course, but these are the things I use nearly every layout I create! Congratulations, AMY!! Your frustrations of searching for this special issue are over and it will be in your hands soon! Please watch your inbox for further instructions on how to claim your prize. Now, for those of you that didn't win, don't dispare. 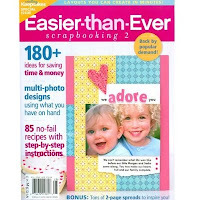 I actually have one more copy of Easier-than-Ever Scrapbooking 2 to give away and will be doing so soon...stay tuned!